Look and feel like a tech professional when you use Home Line mobile workstation desk. With clean lines and a fashion-forward design, this Home Line mobile desk is a sleek way to increase comfort and productivity. This Home Line mobile workstation desk creates a modern combination of function and style. Home Line workstation features a spacious desktop and plenty of shelf space to hold a variety of office machines. 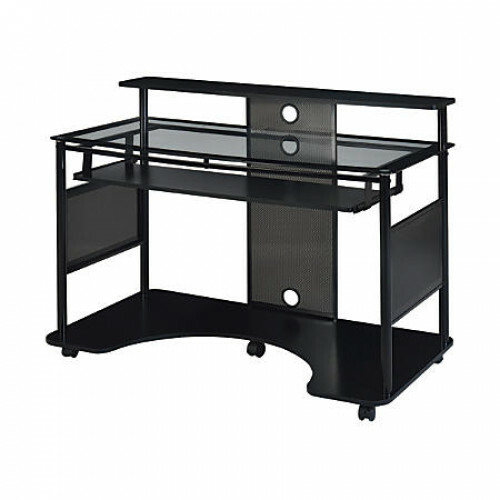 Home Line desk is constructed of engineered wood and tempered glass. The smooth-rolling casters make it easy to move to a new location.